On the latest livestream direct from its studio in Leamington Spa, developer Playground Games offered a deep dive into its latest update for Forza Horizon 4. Accompanying it would be some fresh details on the upcoming Fortune Island expansion, which is coming to the game on December 13th at no additional cost to Forza Horizon 4 Ultimate Edition or Expansion Pass holders. Featuring the incredible new Lamborghini Urus as its cover star, Fortune Island has been pitched as the biggest and most dangerous location of the Horizon Festival to-date. Set in the in the remote northern reaches of the British Isles, the expansion will introduce epic new driving experiences with extreme conditions, including ravines, perilous cliffside roads, and the longest section of paved mountain switchbacks ever built for a Forza Horizon game. Coming in at 3.6km, it will be accompanied by the longest Drift Zone yet in the Forza Horizon series that almost covers the entire thing! This will undoubtedly be a fan-favourite for many, but the entirety of Fortune Island is made up of a more rocky, mythical environment – making it distinct, but also complimentary to its historic Britain counterpart that makes up the mainland of Forza Horizon 4. Another unique road mentioned on the livestream includes the Glen Wisp, which circles around the tall, perilous mountain in Fortune Island and comes together like a spiral road. 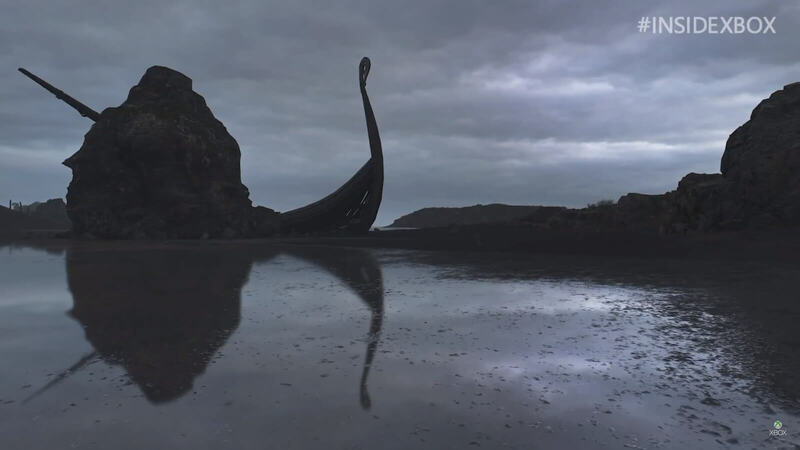 There’s also another that’s spread across a sheer cliff – from one side to the other, which you can easily fall off if you aren’t careful! It’s also quite fun to push your friends off it in multiplayer though, especially considering how narrow this piece of dirt stretch is to drive on. 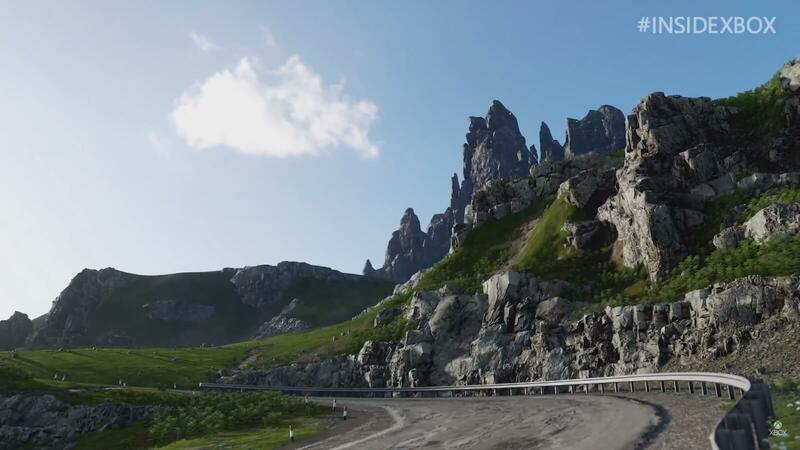 Fortune Island also features more asphalt roads than ever seen before in a Forza Horizon expansion, but in addition to all the purpose-built drifting locations, there’s still plenty of off-road and cross-country events to enjoy. Fortune Island also features beaches with Viking shipwrecks and caves that are ready to be discovered. Who knows the hidden wonders that lie within. There are also smaller islands outside of the Fortune Island mainland that you can drive across to visit and explore. In addition, Playground Games has built two Goliath race events for Fortune Island, an asphalt event and a mixed surface one that ties into the new campaign mode included with the expansion. Indeed, mixed surface race events are back for Fortune Island, as well as a new series of bespoke events to complete and Achievements to unlock so you can add to your total Gamerscore. The expansion also comes with a new Horizon Story, which sees everyone’s favourite Welshman Robert Glenn back for Drift Club 2.0 – which will take advantage of the unique switchback roads on Fortune Island using cars that have been perfectly tuned and upgraded for them. It’ll also take you to that aforementioned dirt stretch by the perilous cliff-side, which is the only time Drift Club will take you off-road! Fortune Island also features the same four seasons from mainland Britain, and they’ll change every week like in the main game and behave the same way too – except the expansion now also features thunderstorms with lightning, as well as the mystical glow of the aurora borealis. The overall premise of Fortune Island sees players hunting for treasure in the biggest and most dangerous expansion in the history of the Forza Horizon series. What exactly you’ll encounter in your search for hidden wonders on this perilous mythical island remains to be seen, but you can expect exclusive new cars, large cash prizes and more in the all-new Treasure Hunt experience. More details about this feature, and other new additions to Fortune Island, will be revealed in the future – with more to be shown on the next Playground Games studio livestream in December. Fortune Island is the biggest location to be ever featured in a Forza Horizon expansion, and you’ll get to explore it on December 13th at no additional cost if you own the Forza Horizon 4 Ultimate Edition or Expansion Pass. It’ll also be available to purchase separately. Be on the lookout for more details on Fortune Island leading up to its release, and for more on Forza Horizon 4, be sure to check out all the content, features and improvements available today with the November Update, and if you’ve yet to dive in and explore beautiful, historic Britain, then be sure to read our in-depth review.